Small businesses (less than 100 employees) can receive an initial $1,000 incentive upon hiring and an additional $1,000 retention incentive after six months for each youth (aged 15 to 29) hired through Employment Ontario's Youth Job Connection. 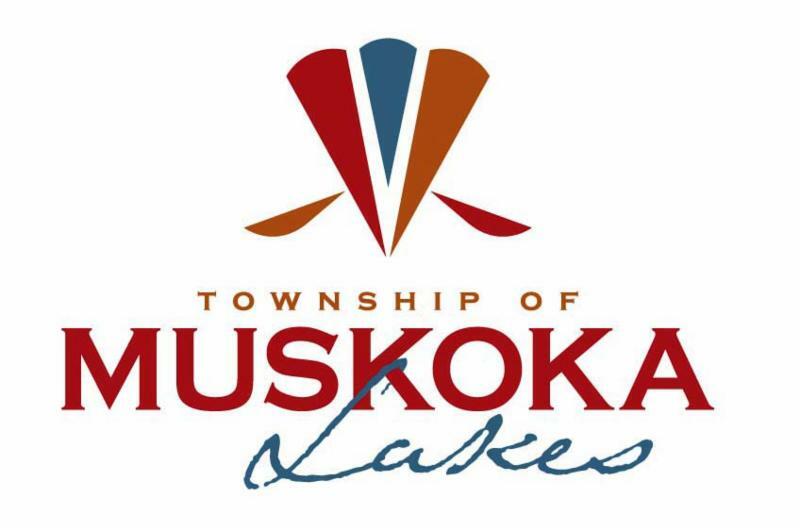 The Township of Muskoka Lakes is excited to be moving forward with the Downtown Enhancement Action Plan for the urban centres of Port Carling and Bala. The action plan includes a number of initiatives such as enhancing downtown beautification, pedestrian connectivity and public gathering spaces, creating tools to encourage new events, and the development of new marketing activities to encourage residents and visitors to explore the downtown cores. Have you shared the new Muskoka Lakes Tourism Video on social media? The Muskoka Lakes Chamber of Commerce created this tourism video as part of their announcement for being selected to host of the Ontario Chamber of Commerce (OCC) annual general meeting and convention in 2019 in Minett. The power of the Muskoka brand! 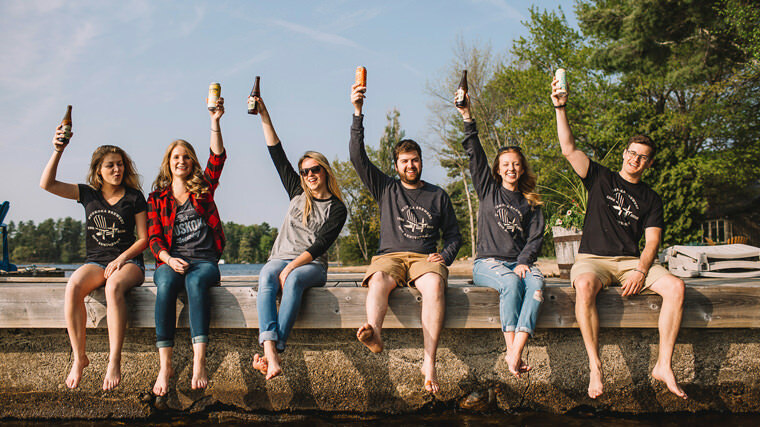 Muskoka is undeniably a powerful destination brand, but the power of the Muskoka brand can also be used to create a powerful business brand. 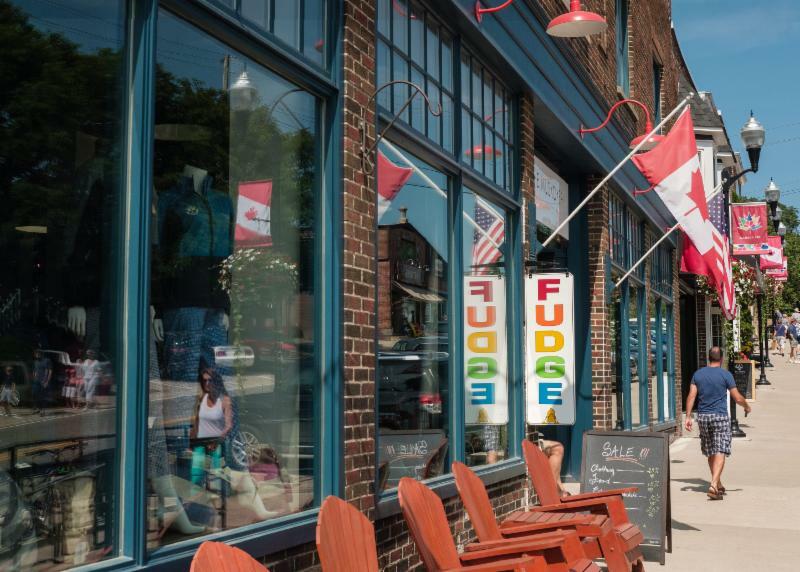 Does your business brand share attributes with the Muskoka brand? RTO12 is now exploring 2018 Spring, Summer and Fall Partnerships! Join the Ontario By Bike Network! The Health Hub building in Port Carling, Ontario is owned by the Township of Muskoka Lakes. The building opened in March 2016 and offers a fantastic opportunity to operate a health related business in the ‘Hub of the Lakes’. The upper level of building is occupied by the Port Carling Nursing Station. New Port Carling Visitor Information Centre Location! 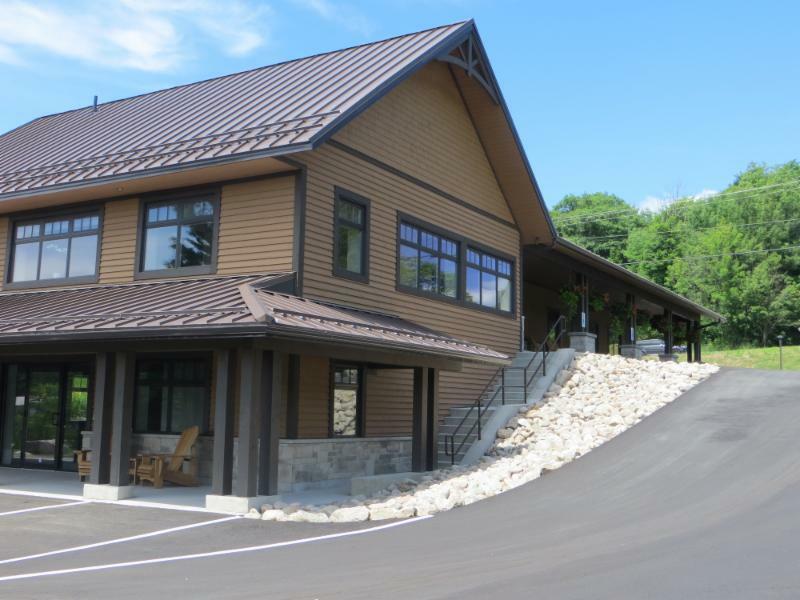 The Port Carling Visitor Information Centre is now open for the 2018 season at its new location across the street from the large locks. 1 Lock Street, Port Carling. 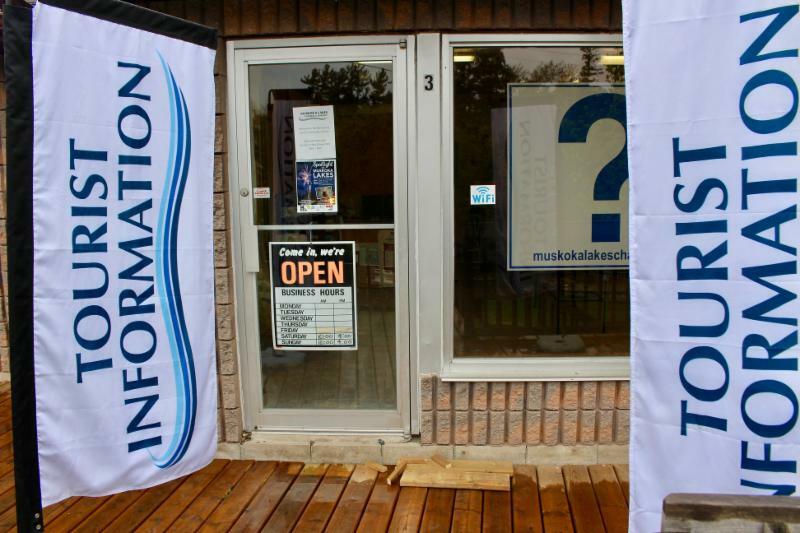 The Muskoka Lakes Chamber of Commerce operates the Visitor Information Centre from May-October. FlyGTA and the District Municipality of Muskoka (District) are pleased to announce plans for scheduled air taxi service to and from the Muskoka Airport (YQA) starting in June. Junior "A" Hockey Coming to Port Carling! The South Muskoka Shield of the Greater Metro Junior ‘A’ Hockey League will call Port Carling home beginning this 2018/2019 season. 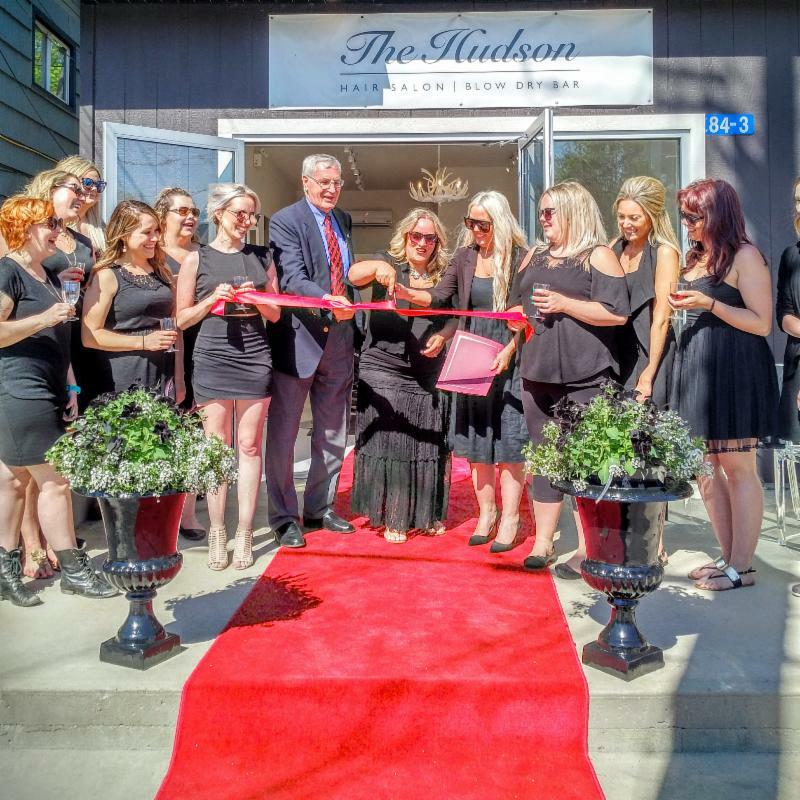 Mayor Don Furniss was on hand to welcome The Hudson Hair Salon to Port Carling on Friday, May 18, 2018. ﻿Congratulations and welcome to Muskoka Lakes. If you are looking to invite a member of Council to a meeting, charity event, ribbon cutting, presentation, etc. 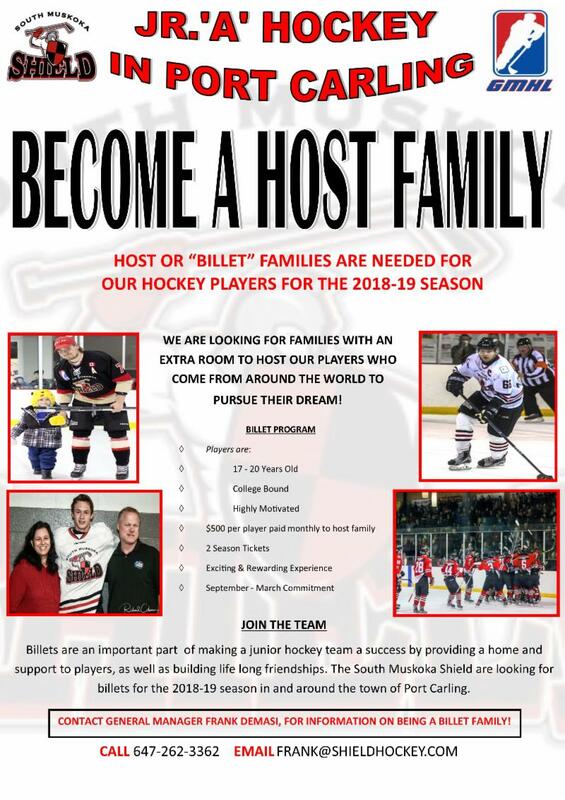 please contact the Township of Muskoka Lakes at 705-765-3156. Share the Newsletter | Invite Others to Sign Up! Do you know a business that may be interested in receiving the Economic Development Newsletter? Please help us improve communications by inviting them to sign up for the distribution list.